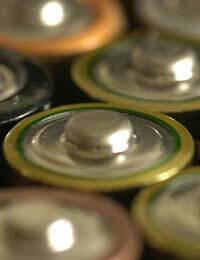 Many people might not imagine that counterfeit batteries could cause problems. After all, what's the worst that can happen - they run out very quickly? In fact, that's not the case, certainly not when it comes to lithium-ion battery packs, along with their chargers. The fakes can cause a lot of harm, even burns and explosions or fire - which can lead to human injury and loss of property. But the problem extends even to mobile phone batteries and those AA batteries that fill all our lives. For the most part, counterfeit batteries are found on Internet auction sites, although that's not to say you won't find some, especially regular household batteries, sold by traders or at car boot sales. But to give an idea of how pervasive a problem this is, in India Nokia has estimated that 75% of replacement batteries sold for its phones are fakes. The main trade is online, however; once someone's bought the battery, they generally won't check to see if it's real or fake. As long as it works, all is well. Fake batteries don't have the quality of the real ones - they simply use the name. Instead of a safe product, you're buying something that's badly made, where electrolytes can leak, and often without the vent that can stop an explosion. At times the battery itself will be made using cheap carbon zinc technology that claims to be alkaline. A big problem can arise when those are mixed with regular alkaline batteries, one that could, at least theoretically, lead to an explosion. As if that wasn't bad enough, the counterfeits also sometimes contain mercury, the addition of which has been banned in many places in the US as hazardous. The counterfeiters do an excellent job when it comes to faking lithium-ion battery packs. The real things are expensive, so there's money to be made by producing a cheaper substitute. Spotting the fakes can be very difficult. With Canon batteries, for instance, it boils down to the top of the logo being blurred and the hologram on the packaging, which should contain the word "Genuine" and also change colour, something most people might readily miss. With Nikon batteries, the fakes often say "Made in China" on the battery itself; the real ones state that they're made in Japan, and although the fakes do contain realistic looking holographic seals, they lack the four notches on the seal on the real thing. Some of the fake Casio batteries aren't as good, however; they're too big to fit in the digital camera - pretty obvious error. Although most manufacturers warn about the dangers of using counterfeit batteries (and the fact that they bear no responsibility for any problems that occur from that), it's unfortunate that most of them don't offer indicators as to how to sort the real from the fake - information that would be very useful to consumers. Companies are taking action, however. Kodak is introducing a new system using a forensic marker - one that's undetectable and therefore supposedly can't be copied - that will let the company spot fakes.